No pressure then eh Doc? But imagine a world, I mean, imagine a project management event, a PMO event, that had the DeLorean time machine and a 9 foot all-singing, all moving without any wires, water spurting, project management joke delivering robot called Titan, along with the opportunity to take a selfie with Kryten of Red Dwarf fame (aka Robert Llewellyn) and you are in a very different event world indeed. But you know it really worked. Some great sessions, I kicked things off with ‘How to get fired at the C-Level’ and some really good speakers followed with a mixture of presentations and workshops. And so hats off (or maybe space helmets off) to the great team at Wellingtone for all of their hard -work in putting this together, including a very last minute need to change location! 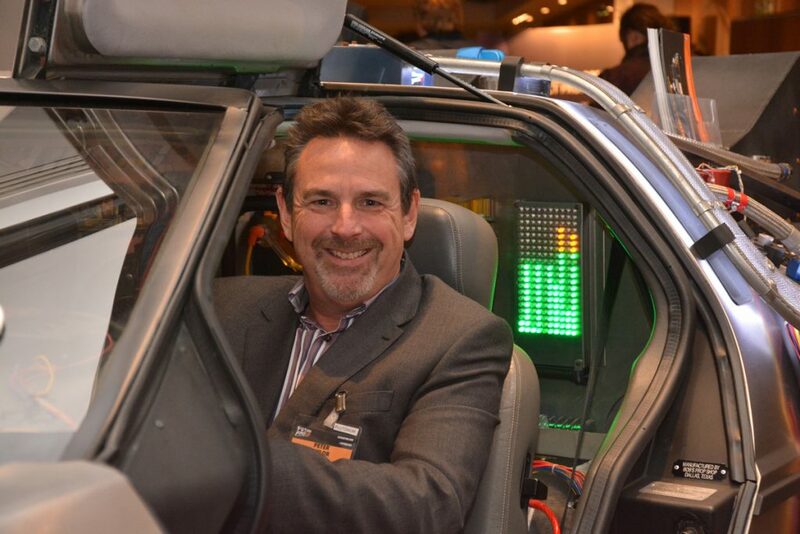 The quote to the side – ‘…As long as you hit that wire with the connecting hook at precisely 88 mph the instant the lightning strikes the tower…’ Well, that sounds like a statement of scope to me with a very clear end goal defined, so maybe a bit of project going on My McFly? And why not seek out some support and guidance from a future PMO whilst you are at it. For the record, I love project events that are different. I have now presented at over 300 events around the world and I can tell you there are many that are just the same old, same old. The people are always great but the style of the conference is often just the same – and yet even project managers, and PMO leaders, love to have some fun and share experiences at the same time so here’s to Future PMO 2018 (or 2028 or 2038 or …). Doc Brown does have some really great advice for everyone by the way … think about this one carefully. View Peter Taylor’s presentation – How to Get Fired at the C-Level below via SlideShare.